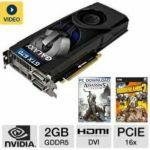 Good news, TigerDirect.com now promotes the Galaxy 67NPH6DV5ZJX GeForce GTX 670 2GB Video Card for $304.99 after $20 rebate, shipping is free. 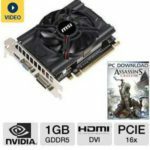 This is now the best price we could find for this video card, we save roughly $50 compared to other reputable merchants, so I believe it's a solid deal. 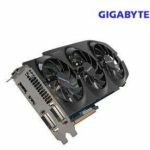 The Galaxy 67NPH6DV5ZJX is a high quality video card, it features 2GB GDDR5, PCI-Express 3.0 x16, DVI-D, DVI-I, HDMI, Display Port, DirectX 11, and 3-Way SLI. 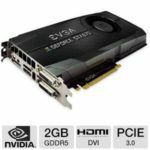 You'll experience full HD viewing performance, extreme game graphics, and lightning-fast multimedia rendering. It gains a lot of good reviews. 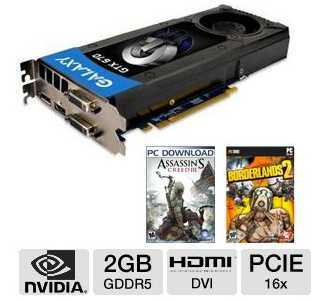 The 2GB of DDR5 video memory offers superb graphics performance. 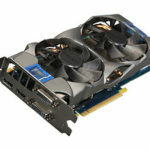 SLI ready enables you to set it in multi-GPU mode. DirectX 11 support meets the latest software and game requirements. If you are planning to upgrade your PC, I believe this is one you should consider. So what do you say?